The most important muscle groups for everyday activity are strengthened. Specially designed guide rollers imitate the natural movements of the body. The Cable Motion technology of the Life Fitness G3 Gym System permits a virtually unlimited number of different exercises on a variety of levels. In this way you can train numerous and diverse natural movements and carry out not only sport-specific conditioning (targeted training of your tennis forehand and backhand, your driving strength for golf, etc. ), but focused training of all primary and secondary muscle groups as well. With its Gym Systems, Life Fitness guarantees quality, ergonomics, and smooth movement of the highest order. 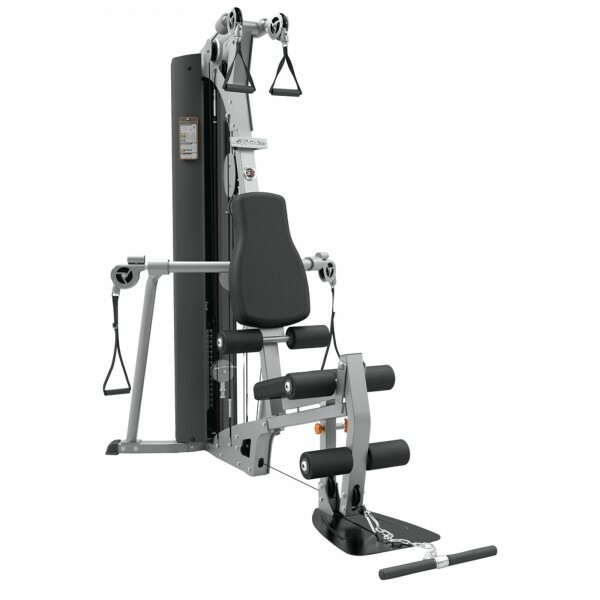 Life Fitness leg press In stock! Less than 5x available, further are coming. Life Fitness G3 Gym System add to comparison list.